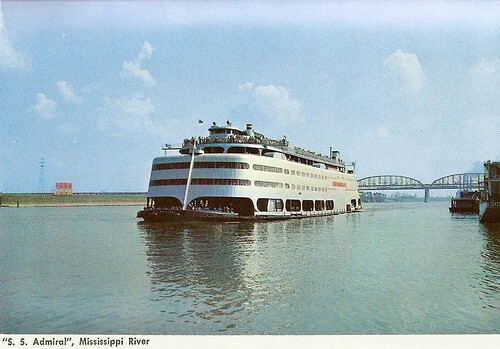 From a postcard folder using color photographs, mailed in 1959. 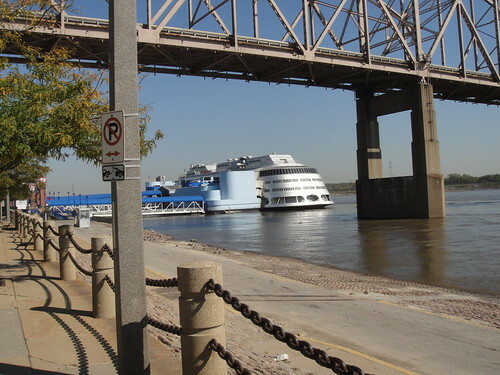 This photo is taken south of where the Riverfront Trail actually begins, and north of the Arch. The boat used to be the President's Casino. I don't believe it is anything, any more.